Fran, thanks for this piece and the example. As I see it, many classrooms are technology rich, but it takes more planning (at least, at first) to create true blended learning opportunities. Your questions are making me think this Sunday morning! That example was perfect. I’ve never seen it or heard it explained quite that clearly before! The example you posted makes me question again if I am truly implementing blended learning. However I believe the blogging and SOLC are. They are communicating by posting for a wider audience and they are able to post anytime from anywhere if they have a device. Thanks for joining the conversation today. Hugs. I had to include the quote because it answered so many questions for me. I think it’s okay to have several combinations! Some learning can be blended, some can be technology rich. It’s a journey! As with almost anything, there is a fine line. It is so important to have training and on going support for anything to be successful. It is also important to know when one kind of teaching/learning is more appropriate than another. Continued learning is ALWAYS a must! 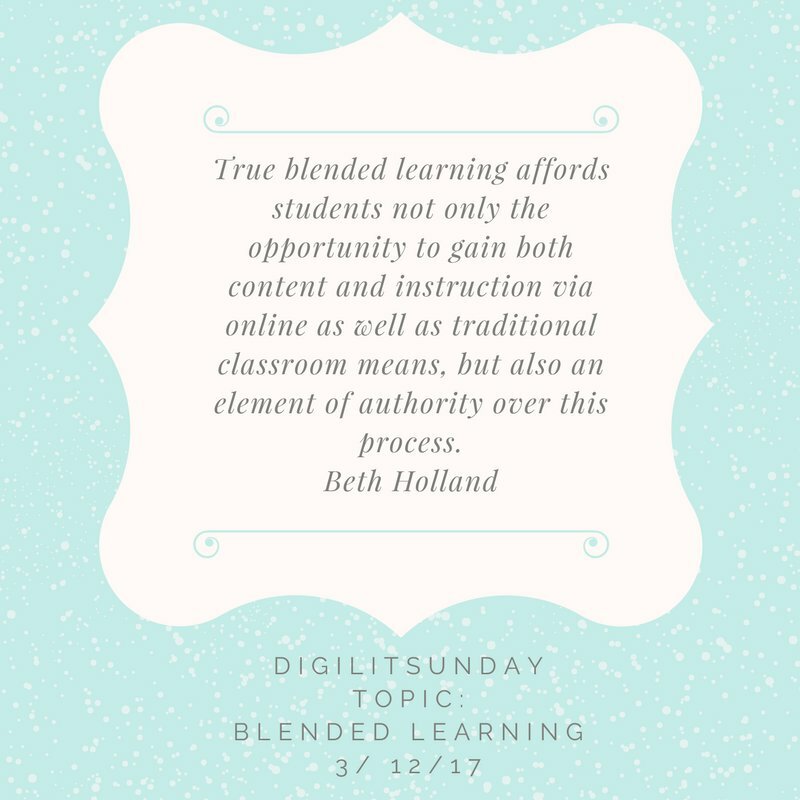 I wasn’t sure exactly what blended learning was…so glad for this post to learn more about it. I’ve been working with online classes for quite a bit now and I still feel like a novice. Tech can be so helpful in the right hands but NEVER as an alternative to a high-quality, thoughtful, responsive teacher! Ooh – your example is convicting. We need to continue to learn the difference between technology-rich instruction and blended learning. Thank you for challenging us! Excellent post and great starting point for much needed clarification. Great job, Fran. This was an interesting topic. I hadn’t considered the student control element of blended learning, but I will now! This is the crux of the matter: “These tools may enhance learning experiences, but do not fundamentally shift instruction in a way that gives students some element of control.” We need to significantly shift instruction so that wondering about content is actively in the students’ hands when in a digital environment. From F2F to digital is more using a tool. It is about making meaning via the tool.